I went out to my car this afternoon to find a flyer tucked into my windshield wiper. 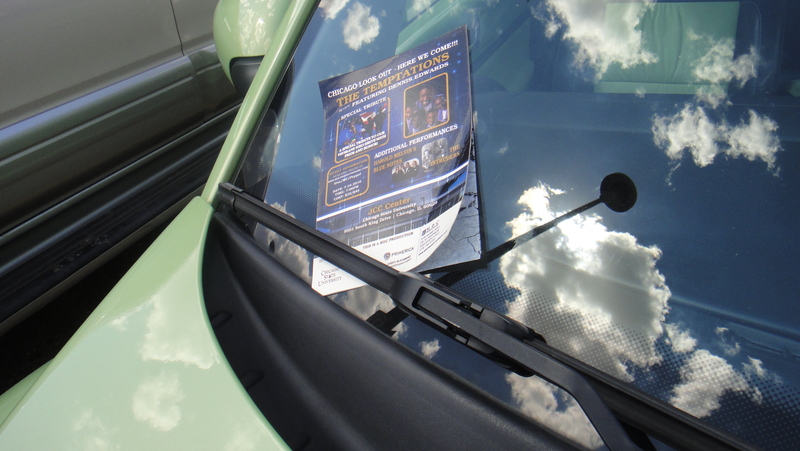 Whoever thought of putting plastic-coated flyers on cars in the summer was not too bright. 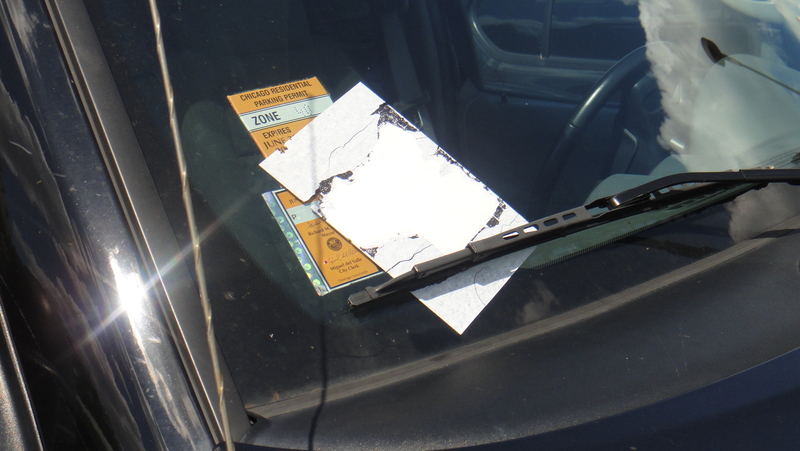 The flyer had actually melted onto my windshield. I stopped trying to peel it off and hope rain will eventually do the job. 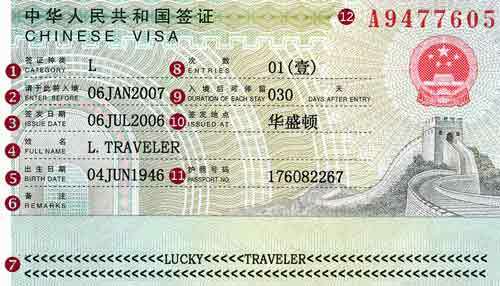 For those of you who have never had the pleasure of waiting at the Chinese Consulate, allow me to enlighten you. The closest comparison I can come up with is the DMV—except the employees are even crabbier and majority of the time bark Chinese. When it isn’t frustrating, it’s quite an entertaining experience. I showed up this afternoon with the sacred pink slip. This receipt ensures they give you the correct passport back. They do not take kindly to those who do not have their slips. I waited patiently in line then presented my slip. “ID,” the woman barked. I tried to explain that I was using my boyfriend’s credit card to pay for his passport. She would not allow it. So I stepped out of line and called Stephen to decide what I should do. While I waited for him to call back I enjoyed the free show. 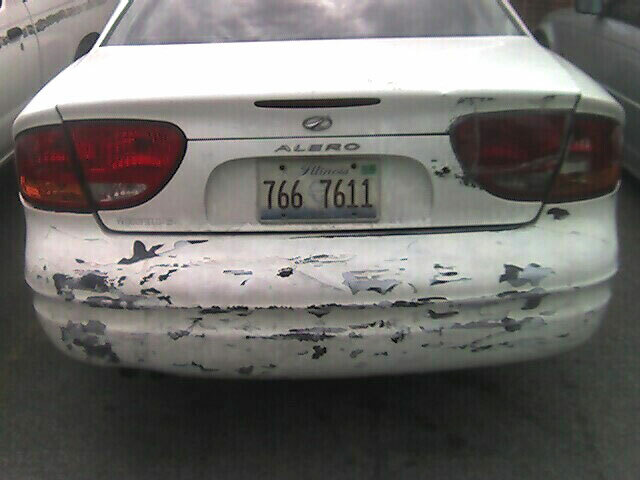 This is what a real city car's bumper looks like. Mine isn't this bad! I always seem to have random people encounters in my elevator or on the street. Today I had one while driving. I believe that’s a first. I was on my way back from Dominick’s (the grocery store) and stopped at a light. I was minding my own business, sipping my green tea frappuccino (which happens to be the exact same color as my car) and jamming to Ellery. Out of the corner of my eye I noticed the guy in the passenger seat of the car next to me talking and pointing to my rims. I drive a cyber green Beetle with special edition cyber green rims. It’s not something you see everyday, and every so often someone will roll down their window to tell me just that. So I rolled down my window a bit to hear what this guy had to say. Beetle’s transition from Kentucky garage life to Chicago street life wasn’t exactly smooth, and it has the scars to prove it. They’re not horrible compared to most city cars and my dad had already mentioned getting some touch up paint. I politely told the guy no thanks. “Are you sure? We could do it for about $80!” he shouted. I again politely declined. Then he called me gorgeous and drove off. I can’t help but wonder what would have happened if I said yes—would he have jumped out of the car and slipped me a business card? Or tried to throw it through my window? Or ask me to shout my telephone number? Who knows. I then remembered that the guy looked familiar. He was in the car that had blocked me in my stop at Dominick’s because he was talking to the people who got out of the car next to mine. I thought he was asking for directions, but he was probably offering to fix their car too. I guess his technique is cheaper than making fliers. You know those cars on the highway that speed in and out of lanes and make you shout, “What are you doing?! You’re gonna cause an accident!”? That was me yesterday. Except I wasn’t driving, I was weaving through the crowds of people on State Street on foot, trying to get to the dentist. I’m amazed by how slowly people can walk and take up the entire sidewalk. I had some mighty close encounters. Had I been driving, it would have been trouble. What was everyone doing out on a Thursday afternoon? It was feeling worse than China (by my own experience, not the picture). I guess it’s tourist season. Thanks to my speed walking, I got to the dentist 10 minutes early. For once I actually had some good small talk ideas running through my head, so of course all the hygienist and I talked about was the weather and cold sores. Oh well. At least I didn’t have any cavities. When you’re a kid you dread fillings because of the pain and additional office visit. Now that I’m an adult I worry about how much they’ll cost. On my walk back I saw a crushed Scrabble box in the middle of the sidewalk. I wonder what the story is behind that. Last night I found myself reading my old online journal. It was a little more personal than this blog, but some of the posts were classic. I thought I’d repost a couple here for kicks. Background info: In the summer of 2006 I was working for the (now defunct) Downtowner newspaper in Cincinnati. I spent a lot of time walking around downtown and waiting for the bus. I was also obsessed with finding heels I could comfortably wear to walk around the city. Four years later, I’m still looking. 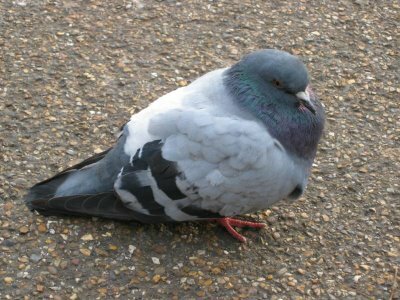 In other news, downtown Cincinnati pigeons are extremely fat and lazy. Today I found myself actually walking around them. Once Jannie and I were talking about how we had the urge to punt a pigeon. If only I had that urge this morning. And then on my way to the bus stop I saw a dead bird sprawled out on the sidewalk. “Punted?” I thought, but the way he landed he looked like he fell off something high. I can’t imagine birds falling to their death, but there’s a first time for everything. Perhaps that means there’s hope for comfortable heels. Speaking of punting pigeons, I just discovered this funny video. I love the Internet. I was making a killer playlist in iTunes for my upcoming painting session just now and I remembered something that’s always bothered me. 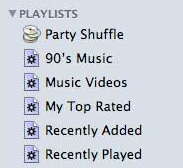 When you first open iTunes it comes with some pre-installed playlist ideas. Some of them make sense, like My Top Rated, Recently Added and Recently Played. I’ll even venture to say Classical Music makes sense. But the one I don’t get is 90’s music. Of all the genres to make a playlist for, why 90’s music? Why not the far-superior 80’s music? I thought it was because iTunes was invented in the 90’s and the playlist was some kind of homage to that, but iTunes apparently came out in 2001. I’m still stumped. I took the El today. It’s been awhile since I’ve used good old public transportation. I forgot how nasty it is, especially on a hot day. 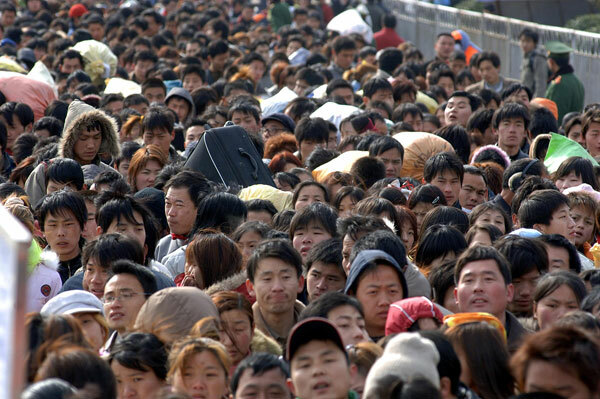 Being crammed next to strangers is uncomfortable, even more so when everyone is sweaty. Where was everyone going on a Friday afternoon? I sometimes forget that I live in a tourist town and summer is when they’re out in full-force. The city was certainly infested today. I went to lunch with a friend this afternoon. While she was in the restroom I eavesdropped on the women sitting next to us. I heard one of them say, “I can’t take sh*t from Capricorns.” She proceeded to clarify that she is friends with Capricorns and Virgos, but she really doesn’t like them. What does that even mean? Do people really pick their friends by astrological sign? As a Capricorn, should I have scooted away from her? The whole thing was a bit odd.